I love to tweet but some times it can be real time sucker too to stay organized . Here are some of my rules how i follow what time i tweet or rewet you and a praktical timezone overview so your tweets reach most of your followers. Many of my follower are from the US and Austrians or Germans for that reason i will tweet in 2 languages English and German separated by timezones. To prevent a overload i never read DMs if you want to forward something privat pleas remind me @ to take a look at your DM.The Blog is mostly english but thinking about to blog some parts in german too as my background is not related to one language. Timezone tweets or my twitter time traveller timezone is GMT+1 for Vienna if i am not on travel. In English i will tweet most Social media facebook and geek hint stuff some times only politics if its related to my journalistic experience or topic. The timezone tweets hits not only my timeliness mostly you will hit 3 regions Europe, East and West Coast US for Asia its a other story. There are several Tweet maps that show your follower Geo location and activity take a look to be active when they are same as on facebook only the most new tweets get read everything past will be not read . I know you in Real Live or we are connected on Facebook to. You don’t respond to any tweet. As twitter is also for me a incredible research tool i will hashtag some of your tweets with a personal hashtags to make it easy to re find them again on google or twitter as a personal reference links and bookmark to revisit the tweets, following hashtags will be used and ther meaning. The word META is a Cambodian word and means something like loving kindness in Khmer. General Hashtags are fine for live search but if you need to search archived older tweets i would recommend you to get some personal easy to remember hashtag combination too. 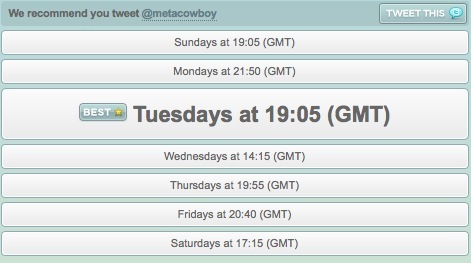 Meta was chosen as metacowboy and (metaprime )are used since many years. On the fly i “clean up” every week on these rules to make live a bit easier in the twittervers. 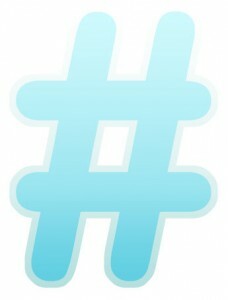 I try on regular base to add you to one or more of my twitter lists. Feel free to add me on other networks like Xing ,Linked or Facebook too or subscribe by email on google feedburner links are on top left of the blog . 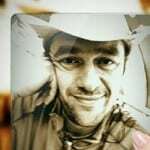 Additional resource that could be of interest is the FAQ Section on Facebook Answerd Questions as Fb is changing very fast and ther is a lake in documentation or many hidden features i install the Faq question on these blog also for myself a reference i fast switch back for some tools or knowledge i need for the every days fb live or testing and developing some apps. Very nice introduction – just one little broken link: http://www.tweetclock.com has changed to tweetoclock.com/ I suppose.